Nairn Art group with me on the steps of the main terrace gardens at Rydal Hall. 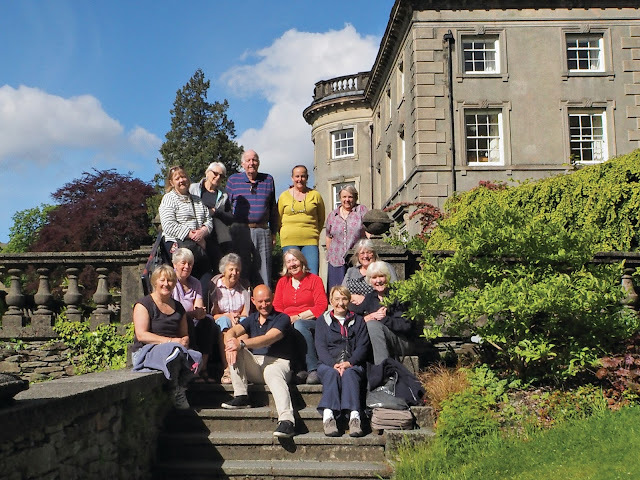 A great group of keen artists who made their way all the way down from Inverness in Scotland to be with me at Rydal Hall! I'm so honoured! What a fabulous fortnight we have just had painting mixed media on two full back to back art weeks at Rydal Hall near Ambleside in Cumbria. Teaching 12 students in two full classes each week has been so much fun and an absolute joy for all of us. 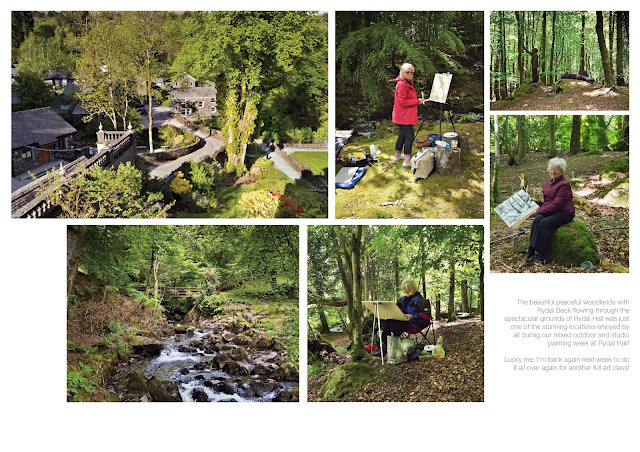 Superb to see that everyone who joined both full board residential art weeks learnt lots of different creative painting techniques in superb Lakeland surroundings. 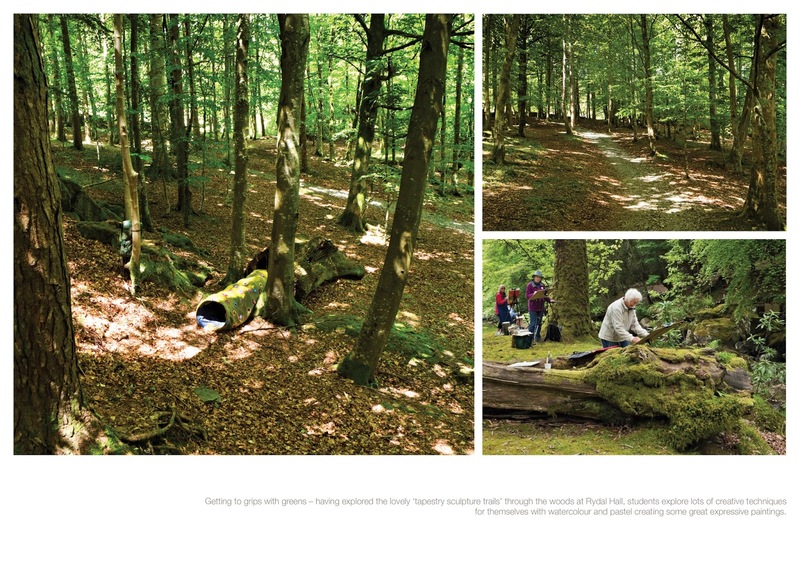 Mixing outdoor and indoor painting experiences in the local landscape close to Rydal Hall and in the magnificent grounds themselves, peaceful woodlands and well tended gardens was really exciting for everyone. The 'all new' Rydal Hall (under the new direction of hotel Manager and Reverend Jonothon Green) is for Rydal Hall to maintain its history as a relaxing religious retreat whilst opening the doors to lots of other guests but without the strong 'bible thumping' message. 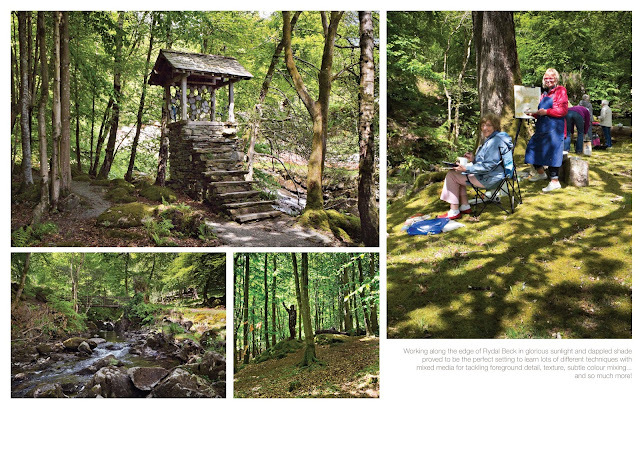 In our care, the only thing that was thumping was the hearts and minds of everyone on each art week who learnt so much in such a short space of time in beautiful surroundings in a really great friendly place which left a really great lasting impression. 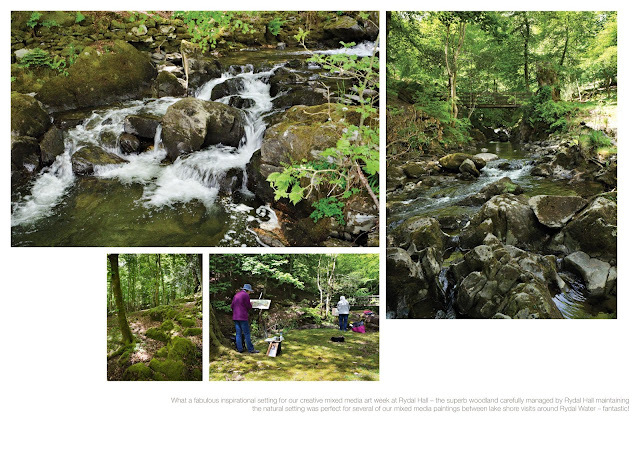 With lots of students travelling far and wide to come and join me on all the art holidays I'm very honoured, especially since enquiries and bookings are happening right now for next year's courses which are filling quickly which is fantastic! Time flies so it won't be long really until I teach you all again. I'm looking forward to it already!